What Are Hawaiʻi’s Drunk Driving Laws? In sufficient quantities, alcohol decreases the function of the brain, impairing your reflexes, reasoning skills and coordination. These effects drastically increase the likelihood of a crash if an intoxicated person gets behind the wheel. Additionally, certain drugs (even legal prescription medications) can impair your ability to safely operate a motor vehicle. Due to these risks, all 50 states have laws that make driving under the influence of alcohol and/or drugs illegal. Each state also has its own penalties for DUI or DWI charges. Nevertheless, despite these laws, there are an estimated 111 million instances of people driving drunk across the US each year, according to the Centers for Disease Control and Prevention. If you or a loved one is facing DUI charges in Hawaiʻi, then a criminal defense attorney may be able to help you get those charges reduced or dismissed. Alternatively, a personal injury lawyer can assist you if you sustained injuries in a drunk driving accident. Consult our local listings to find legal help near you. Otherwise, feel free to ask the lawyers any questions you may have regarding DUI laws. What Is Driving Under the Influence, According to Hawaiʻi Law? Since drug and/or alcohol intoxication can endanger a driver as well as anyone else on the road, it is illegal to operate a motor vehicle while impaired in all 50 states. Doing so is a criminal offense variously called Driving Under the Influence (DUI), Driving While Intoxicated (DWI) and, rarely, Operating Under the Influence (OUI). In Hawaiʻi, state laws use DUI to refer to impaired driving. Generally, your level of alcohol impairment is gauged by testing your Blood Alcohol Content (BAC). This refers to the percentage of alcohol dissolved in your bloodstream. Each state sets its own limits for what BAC constitutes alcohol impairment, although every state but Utah currently sets the legal limit at 0.08%. However, this limit may be lower for certain drivers. Hawaiʻi also has an additional category of alcohol offenses: Driving While Alcohol Impaired (DWAI), which occurs if your BAC is between 0.05% and 0.08%. Additionally, the Federal Motor Carrier Safety Administration (FMCSA) imposes stricter BAC limits on commercial drivers. Professional drivers, such as bus and truck drivers, may face DUI charges for a BAC over 0.04%. You may also face criminal charges for driving under the influence of drugs. However, it is much more difficult to determine drug intoxication, as opposed to alcohol. A blood test is usually the only definitive method for accurately gauging drug intoxication. The difficulty with this method is that a blood test may take several days to return results; by contract, a breathalyzer test takes only seconds to determine BAC. 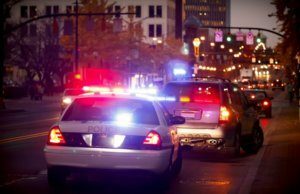 As a result, law enforcement may sometimes stop and/or arrest motorists on suspicion of drugs, even if that person is not intoxicated. What Are the Penalties for DUI in Hawaiʻi? First DWAI. For a first DWAI offense, you may face between two and 180 days in jail, a fine of $200 to $500, community service for 24 to 48 hours, and/or eight points on your license. Second DWAI. If you get a second DWAI, then you may serve 10 to 365 days of jailtime. You may also face a fine of $600 to $1,500, between 48 and 120 community service hours, and/or eight more points on your license. Third DWAI. For a third DWAI offense, you must serve a mandatory minimum of 10 days in jail, though the total sentence may be up to one year. You may also pay a fine of $600 to $1500, serve 48 to 120 hours of community service, and/or get eight more points on your driving record. First DUI. The penalties for a first DUI offense may include five days to one year in jail, a fine from $600 to $1,000, between 48 and 96 hours of community service, and/or a suspension of your license for up to nine months. You may also have to take court-ordered alcohol education classes and may receive up to 12 points on your license for any DUI conviction. Second DUI. The penalties for a second DUI conviction may include 10 days to one year in jail, a fine from $600 to $1,500, 48 to 120 hours of community service, and/or a suspension of you license for up to a year. Additionally, you may have to use an ignition interlock device (IID) for up to two years after the reinstatement of your license. Third DUI. A third DUI Conviction may result in 10 days to one year in jail, a fine from $600 to $1,500, 48 to 120 hours of community service, and/or a suspension of you license for up to two years. Additionally, you may have to use an ignition interlock device (IID) for up to two years after the reinstatement of your license. Felony DUI or DWAI. Any DUI or DWAI arrest after in excess of three automatically results in felony charges. The consequences of a felony DUI conviction may include a fine between $2,000 and $500,000, between two and six years in state prison and three years of mandatory parole. What Are Hawaiʻi Drunk Driving Statistics? There were 318 drivers arrested for driving under the influence of an intoxicant who were involved in traffic accidents in 2015 compared with 304 in 2014, an increase of 4.6 percent. There were 79 drivers arrested for driving under the influence of an intoxicant who were under the age of 21 in 2015 compared with 68 in 2014, an increase of 16.2 percent. There were 1,541 major accidents in 2015 compared with 1,530 in 2014, an increase of 0.7 percent. There were 15 fatalities on Hawaiʻi Island (three of which had multiple deaths), resulting in 19 fatalities in 2015 compared with 11 fatal crashes resulting in 11 fatalities in 2014. This represents an increase of 36.4 percent for fatal crashes and 72.7 percent for fatalities. In many cases, a criminal defense attorney may be able to help you reduce the impact of DUI charges on your life. If you have questions or concerns about DUI laws, then do not hesitate to ask the lawyers. Otherwise, if you need to speak with a lawyer, then consult our local Hawaiʻi listings.